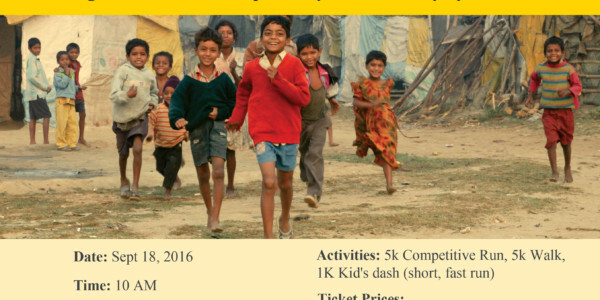 So our listeners who are in and around New York and Philadelphia have much to do this weekend …lot of fun activities and that too for a great cause…CRY America supports the underprivileged children in India and in the USA. So, we have our guest from Philadelphia , CRY Walk Lead, Sanjeev Santhanam who has been with Non profit for the last two years. His Mantra, “Its just a small way of me giving back to the society that gave me so much, And the fact that my work makes a real impact keeps me going”. So join in, the venue is : Lukens Park 540,Dresher Road Horsham,PA 19044. The date is Sept 17, 2016, a Saturday and the time is 9 am to 1 pm. Also on our show is CRY New York Walk Lead, Devabrat Kumar who I has been volunteering with CRY for 6.5 years and has been leading NY walk for two years now. His mantra has been to make sure that his group ‘Makes an impact and has fun raising friends and funds for Child Rights’. So, be a part of the event too. The date is Sept 18, 2016. The venue and the timings are on the flyer here.